July 23, 2014 — I can’t say her tone was condescending, just…robotic. It was 8:30 pm, about an hour before nightfall, and I was at the gates to the most famous national park in the country. The girl seemed really young to be in charge of the gate, although more than likely I’m just really old, and she was responding to my question about what time the park closed. She handed me a map, stared blankly into my forehead, and said, “The park is always open, sir.” Then she continued to stare blankly into my forehead until I eased the car forward. I felt like I was entering Westworld. And I kind of was. After all, we were at the north entrance to the famous Yellowstone National Park in Wyoming. Every town and city with 500 miles sounded like titles of shows on the Western Channel. That morning, my friend and I started out 400 miles north, in Glacier National Park, Montana. 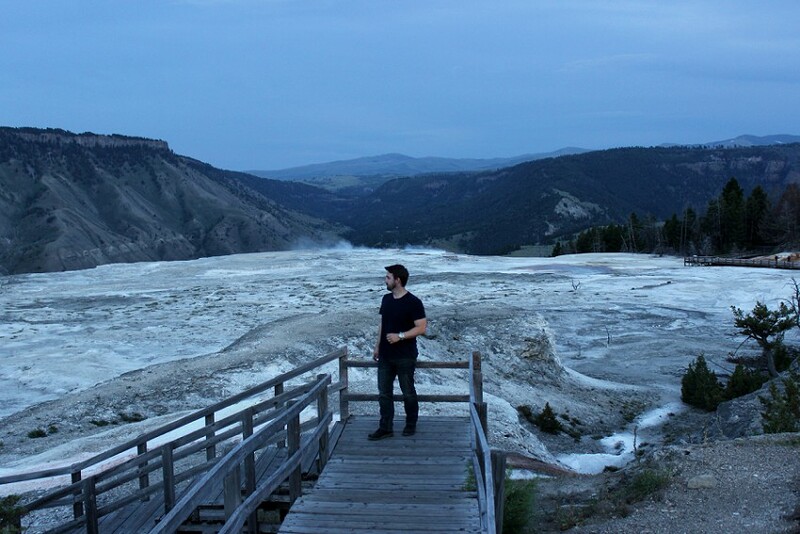 It took us about six hours to get to Yellowstone, plus a stop in Butte to get a steak and see a Superfund site. Our plan was to arrive at the town of Gardiner, right outside the Roosevelt Gate of the park, head straight to our hotel room, and then get up and the break/crack/shatter of dawn to see as much of the park as we could in half a day before heading to Denver. 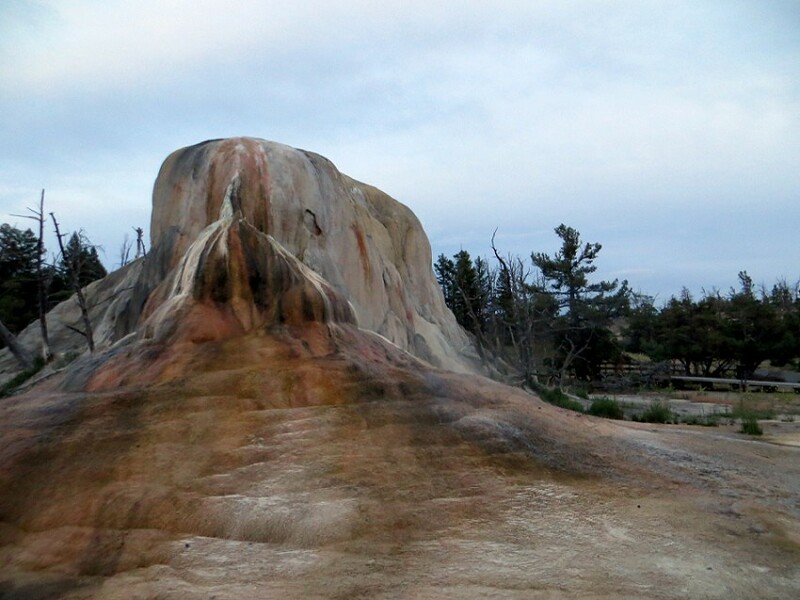 We didn’t know Yellowstone was the Park that Never Sleeps. On a whim, we drove to the gates to see if we could spend the dregs of daylight there. I still kind of don’t get it. You’re allowed to just tool around this national park at night? Where nocturnal deadlies like Grizzlies and wolves run amok? 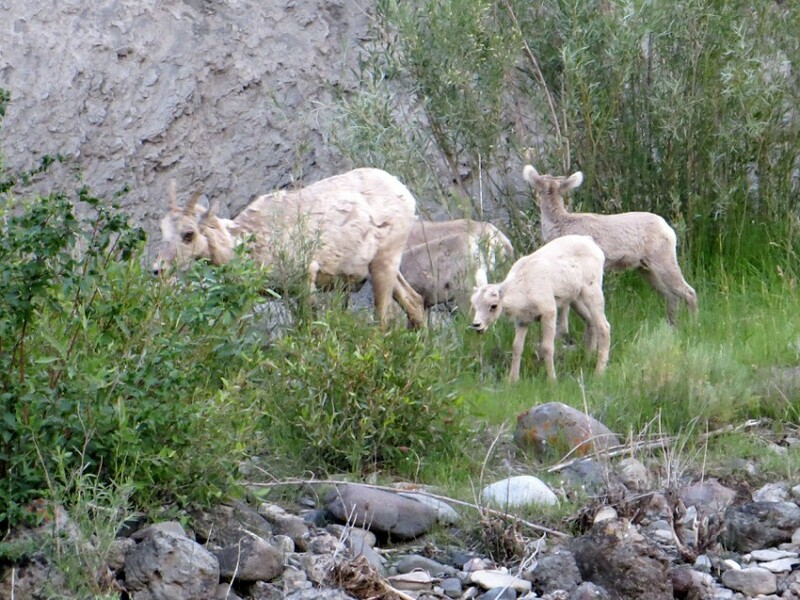 Where herds of deer and buffalo cross your road? Where the ground is literally boiling beneath your feet? 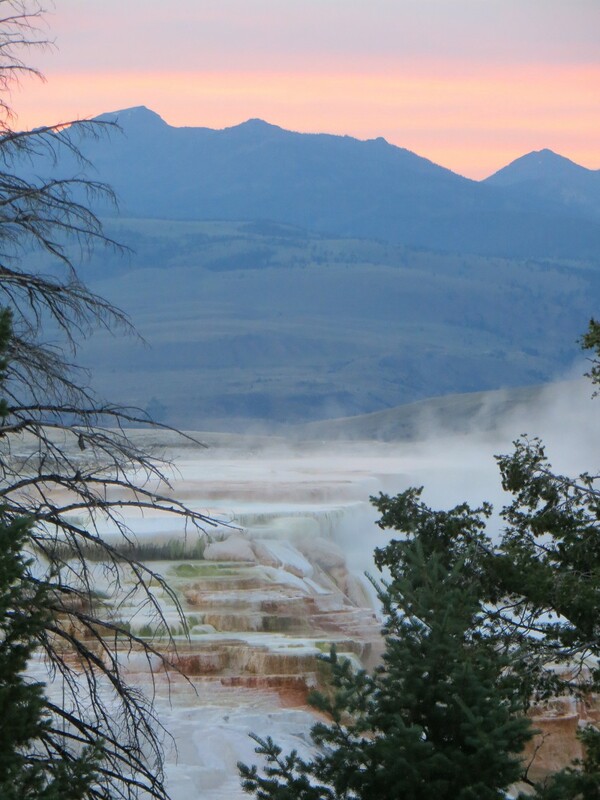 Of course, now I know there are entire towns inside of Yellowstone, hotels, campgrounds, RV lots, the works. The place is giant, with sites spaced scores of miles apart, and the speed limits on some roads as high as 45 miles per hour. Being in this national park is sometimes like not being in a national park. 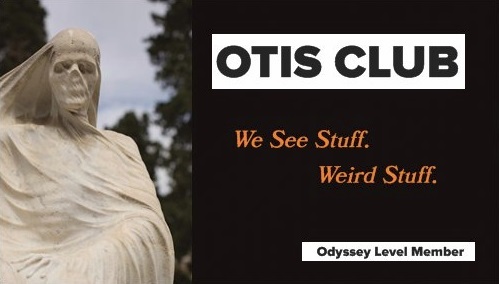 So we wheeled off, leaving the young, blonde robot in our dust…and we immediately saw animals. 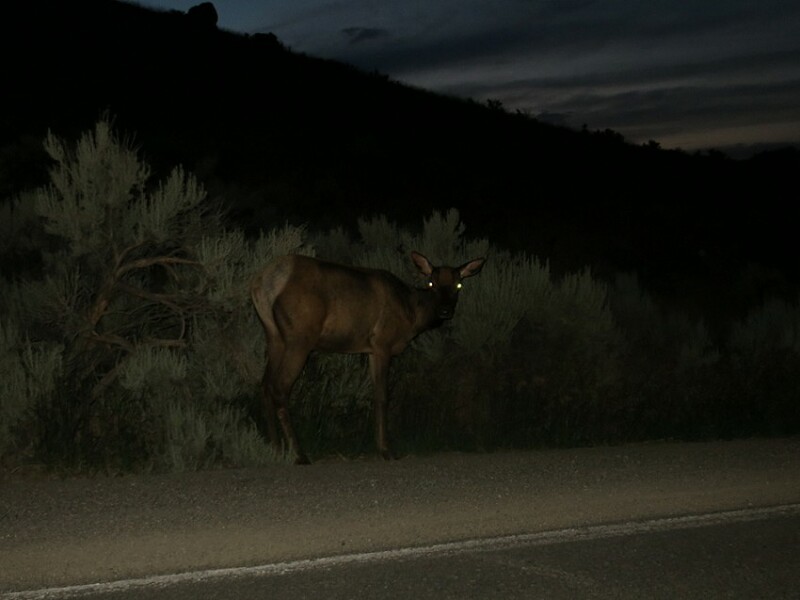 Deer-like things clinging impossibly to the sides of cliffs, large, chocolate-colored elks wandering the roads like it was their taxes that paid for everything. Maybe this was Westworld. These beasts were obviously programmed to be an immediate payoff for anybody entering the park. Man, it was adrenalizing, riding through the dusk, dodging animals, and squinting into the brush to see more, jumping out at sites that we knew would be tourist anthills the next day. 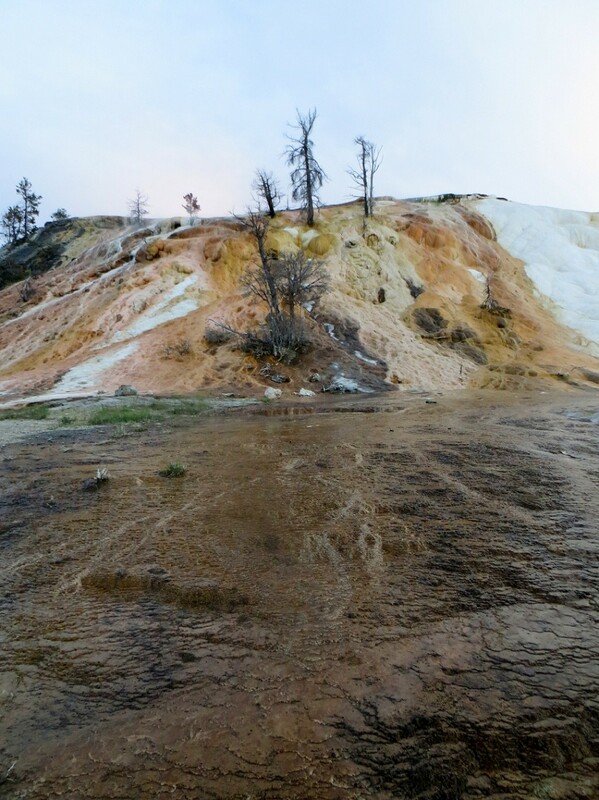 Of course, night was quickly falling and we still wanted to get up early the next morning, so we confined our bit of park reconnaissance to getting a lay of the land and checking out the awe-inspiring strangeness of Mammoth Hot Springs. 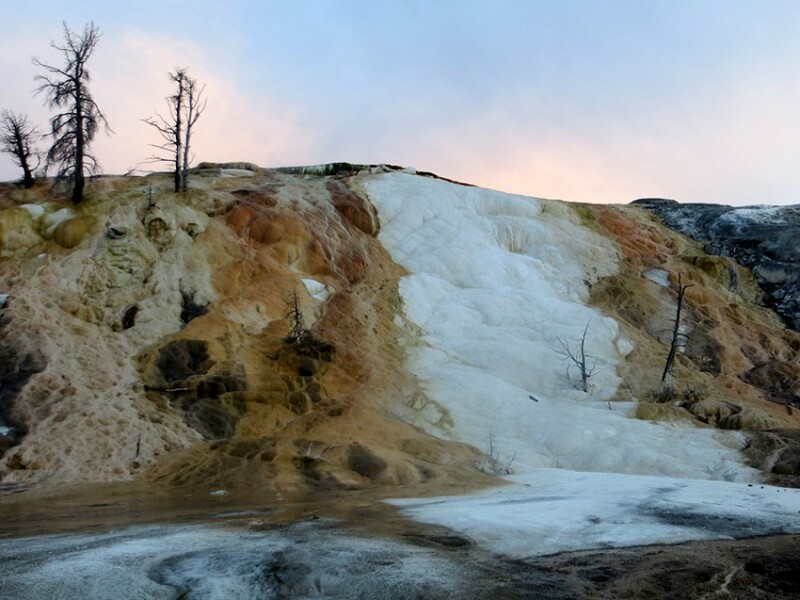 Mammoth Hot Springs is not named so because it looks like the kind of place an ancient Mammoth might be encased, ready to be chipped out and cloned, but it could be. 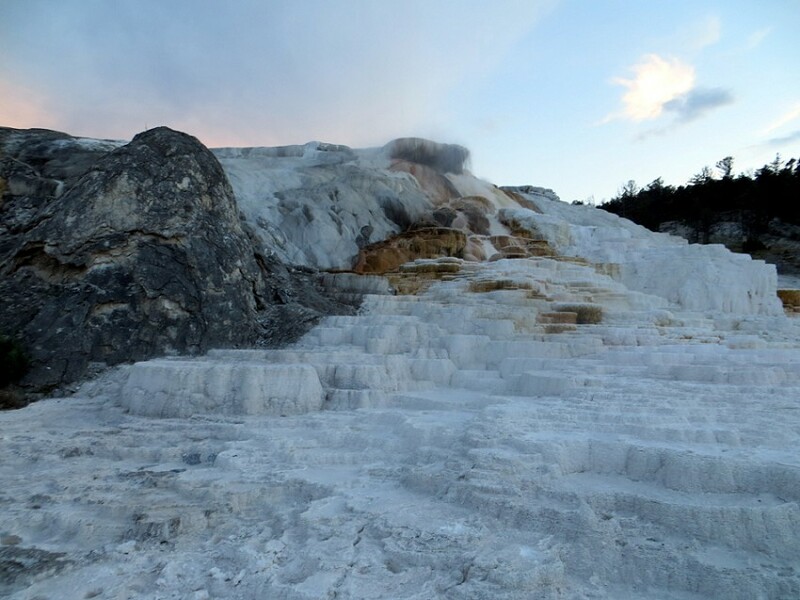 It’s a complex of limestone formations created by the hot springs there dissolving the rock and leaving pale calcium carbonate shot through with, orange, rose, and umber in terraces and mounds…and the whole thing is steaming. I would learn the next day that everything in Yellowstone steams—roads, rivers, fields—and you can see it wafting on the horizon for miles around. 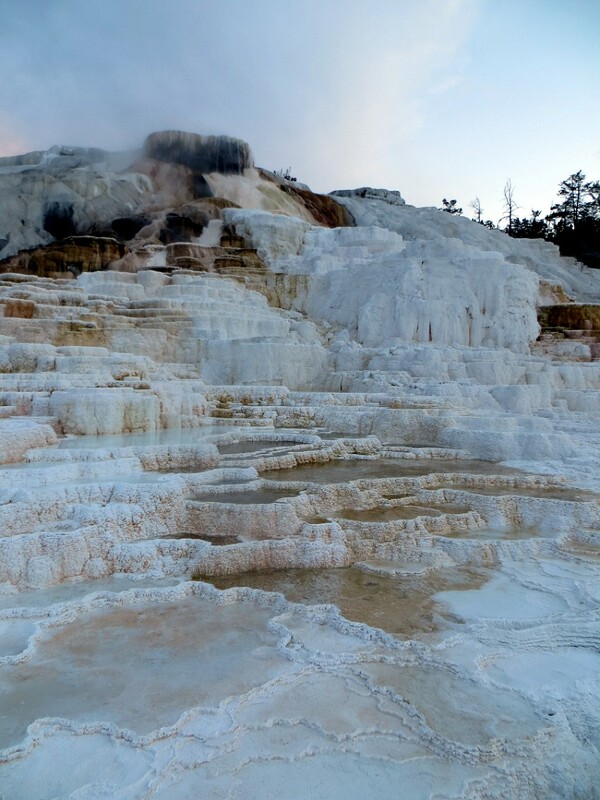 Mammoth Hot Springs has a boardwalk that wends around and above it, as well as a vehicle road. At one point we were below the alien termite mounds, and then we were above them, gazing past the strangely colored, steaming landscape in the foreground for the hills off in the distance. I would have loved to stay up all night, driving through the park in the dark, eyes straining for animals and trying to read the wonders listed on the signs. But we had a five am wake-up call to get to. As we left, the Supermoon was just clearing the mountains. 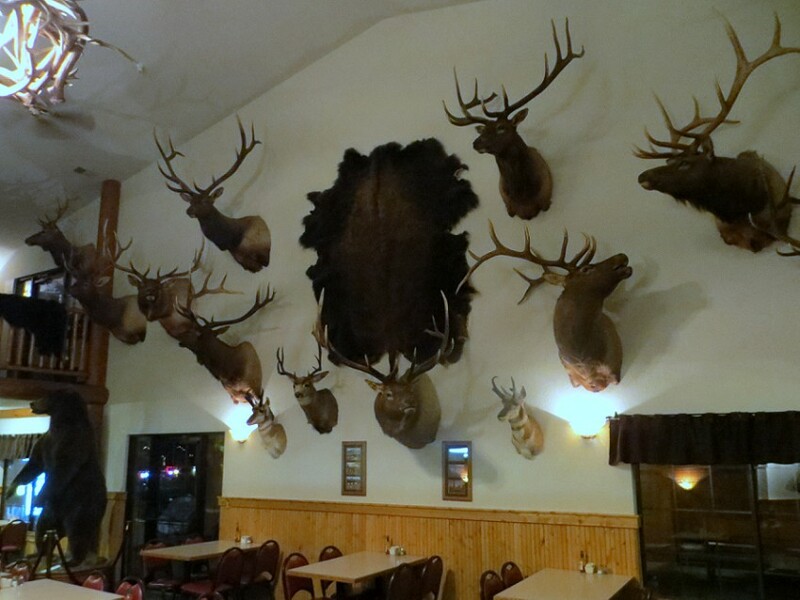 We checked into a hotel decorated as shown in the below picture, more unimpressed than usual by so much dead wildlife.